This is the perfect marriage between professionalism and femininity. Blazers are already super on trend and offer that outer layer of warmth you need to shield you from the cold weather. But once you walk through those doors, you can peel off that outer shell and reveal your super adorbs dress. You can do a black and white plaid blazer with a dark colored dress underneath; a form fitting, bodycon or midi dress in anything from black, bright red, deep fuchsia, burgundy, emerald green, or navy blue works nicely for the season. Sweater weather means bust out those knits. Rock a form fitting sweater or an oversized, slouchy sweater in any array of colors. If there’s an ugly sweater theme , you can have fun with it and rock a bright red and green sweater, decked out with jingle bells, tinsel or whatever! Then pair it with some skintight leather pants and and heels to finish off that festive look. 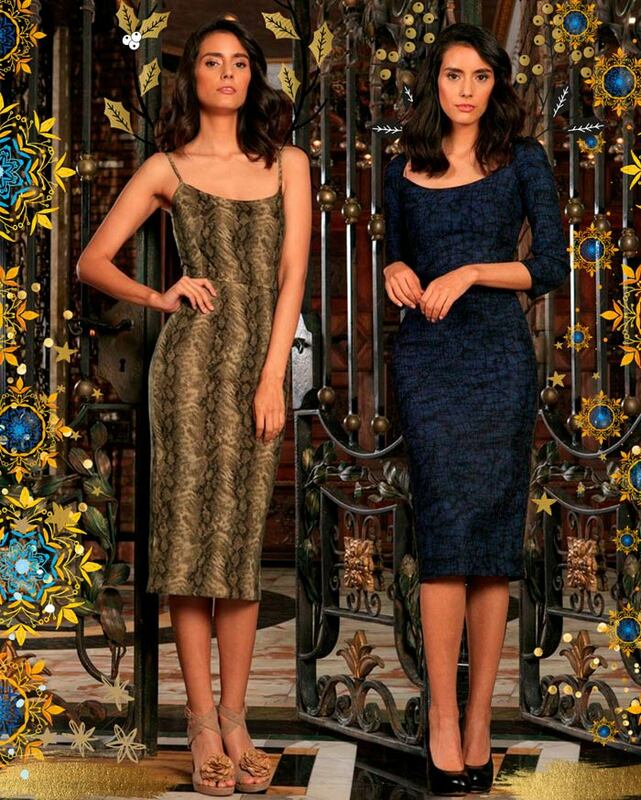 The holidays are a great time of year to rock silhouette enhancing pieces like the bodycon or midi dress. The bodycon or midi dress is tastefully form fitting and looks great in an office setting, whether you’re typing up a proposal or holding a festive holiday martini and schmoozing. These shapes are already super sophisticated and look great in the office, but for the holidays, it looks beautifully polished and festive, whether its long sleeve or quarter length. Pair an emerald green, floral printed or animal printed midi dress with strappy heels or boots and hit your office party holiday look out of the park. This look is such a diverse outfit that can work perfectly for holiday parties that are extensions of the work day. If you won’t have the chance to get home and change first and need to go straight to the holiday party right after work, the paperbag waist pant paired with heels and a form-fitting, dark colored turtleneck sleeveless or long sleeved top is the perfect day to night look. Add some flair and fun by adding hanging earrings or hoops, a necklace laid over the turtleneck and styling your hair either voluminously, curly and funky or in long, cascading soft curls to give your otherwise serious and elegant outfit a more fun, flirty flair. This is another sophisticated look that can take you seamlessly from workday to party night. Wear it with flats during the day then bust out the heels at night. A neutral colored pencil skirt paired with a contrasting sweater will look cute and professional. The form fitting pencil skirt, although still maintaining an office vibe, is tight enough to where it will give your look that feminine edge. You can do black skirt + white sweater, or black skirt + any other colored sweater, or you can opt for a checkered or patterned skirt with a solid top or vice versa. Contrast is key with this combination.